Our free Colorado Spousal Maintenance and Child Support Calculator App provides a portable way to quickly calculate expected maintenance and child support for those involved in divorce, child custody and child support matters in Colorado. It can help put your mind at ease and take the surprise out of the equation. You can input your information into the calculator and use it to find out what child support will look like and how much maintenance will be paid or received. Knowing ahead of time can arm you with the knowledge you need to prepare. 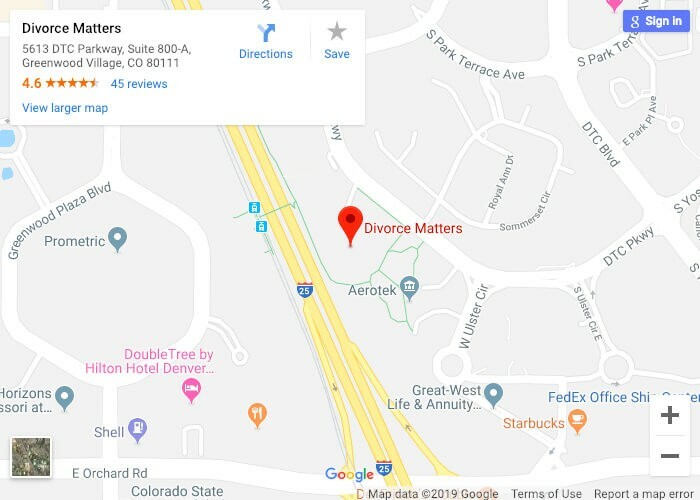 This calculator was developed by Divorce Matters, a Denver based family law firm. It is our mission to be the premier family law firm in the Denver metro area by providing an exceptional client experience. Our team provides the strategic and focused leadership to navigate our clients through the legal process. We apply energetic and creative solutions to elevate the family law practice to achieve the best possible outcome for our clients.